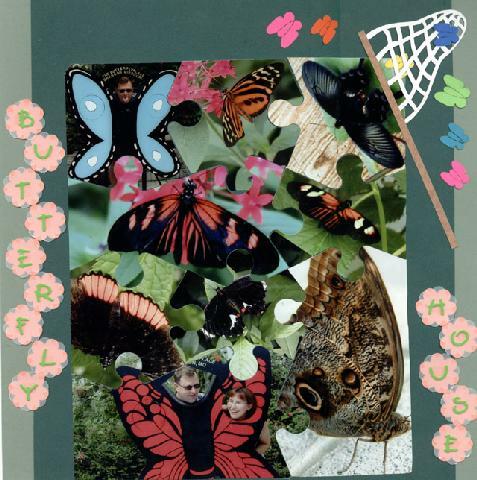 What do you do with tons of butterfly pics. I used them in the coluzzle puzzle! Flowers punched in peach paper then punched vellum flowers on top.